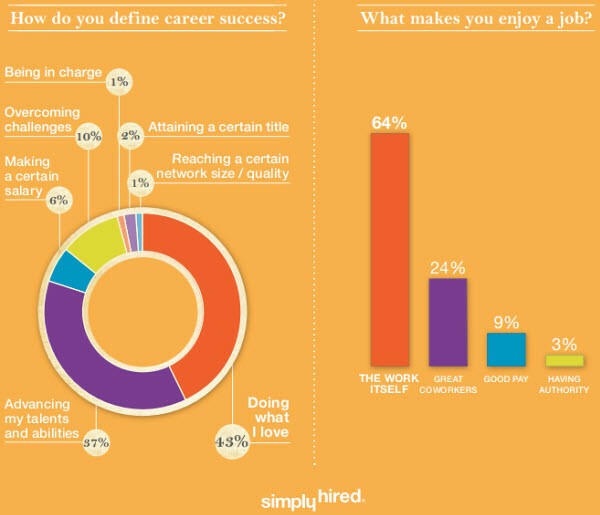 Do You Know What Motivates Job Seekers? Confidence and optimism in the economy appears to be growing now that it looks like unemployment is trending downward, albeit too slowly for many people. The survey also showed the impact of millennials on the American workforce as job satisfaction and passion for work are becoming more important to job seekers. There are many more insights in the full report, and you can download the entire report here. In a TED conference earlier this year, Amy Cuddy, a researcher and professor at Harvard Business School, gave a talk titled “Your Body Language Shapes Who You Are”. Specifically, she discussed how non-verbals govern how we think and feel about ourselves and she specifically mentioned the impact of Power Poses. So, what is a Power Pose? A power pose is where an individual makes the body expansive and stretches out their limbs. 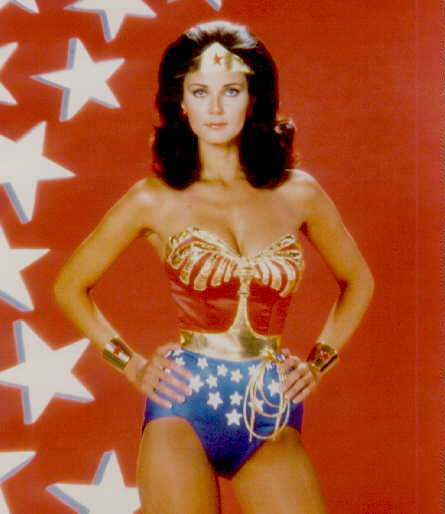 One of the more famous examples that Amy uses is the “Wonder Woman Pose”. Other power poses include stretching out your arms in victory as if you just won the 100-meter race in the Olympics or putting your arms behind your head. Amy’s research has shown that “power posing” can increase your testosterone (the dominance hormone) and lower the cortisol (the stress hormone) levels in the brain, and impact your chance for success. The impact can even measured when a person does not feel particularly powerful or confident – and she refers to this phenomena as “fake it until you make it”. As an experiment, she suggested that posing for just two minutes in front of a mirror in a “power” position before a big meeting or interview can have a profound effect on how you feel and on how other people perceive you. The idea is that “our bodies change our minds” and even tiny tweaks in our posture can lead to big changes. Similarly, low power or weak poses can have the opposite effect. In low power poses, people tend to collapse inwardly to protect themselves which causes the opposite effect of power poses on your hormones and can negatively impact your performance and attitude. Amy is also studying how individuals can project warmth in their nonverbal communication. In this Q&A interview on the TED blog, Amy mentions that demonstrating warmth is just as importance as projecting power. Warm natural smiles and inviting body language can be used to promote warmth. A preparatory warm pose is to force yourself to smile by holding a pen horizontally between your teeth for one minute. This approach forces you to contract the muscles around the month and eyes, and her studies have shown that it actually improves your mood. At the end of her talk, Amy urges the audience to”try the power pose and share the science.” It may be just the edge you need for your next important meeting or interview – or it may become part of your daily routine. The October Jobs Report was released by the US Bureau of Labor Statistics (BLS) today and the key results showed that the total nonfarm payroll employment increased by 171,000 in October, and the unemployment rate was essentially unchanged at 7.9 percent. Economists were expecting 125,000 jobs to be added, so the October numbers are a mild surprise. 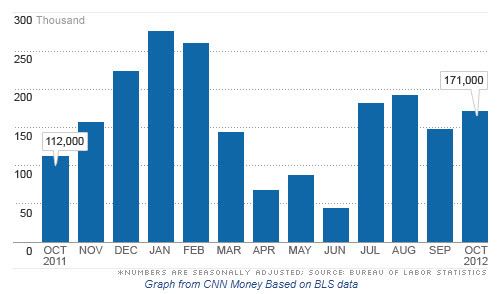 The BLS also added that Hurricane Sandy had no discernable effect on the employment and unemployment data for October. Deloitte Consulting and Forbes Insights just released their 2012 report titled Talent 2020: Surveying the Talent Paradox form the Employee Perspective, and there are some interesting insights in the report. One of the more interesting was that 80% of employees say the plan to stay with their organizations over the next year (compared to the 65% of employees who said they were planning on leaving their organization in 2011). Focus on turnover “red zones. “Red Zones” are employee segments most at risk of departure. Two groups with a high risk of turnover are employees with less than 2 years on the job and Millennial workers (those younger than 31). When it comes to retention, employees are telling us that leadership matters. More than 60% of workers who plan to say report high levels of trust in their corporate leadership, while only 27% of employees planning to leave exhibit that same trust. A copy of the entire report is embedded below and is worth a detailed read if you are concerned with employee retention at your company.